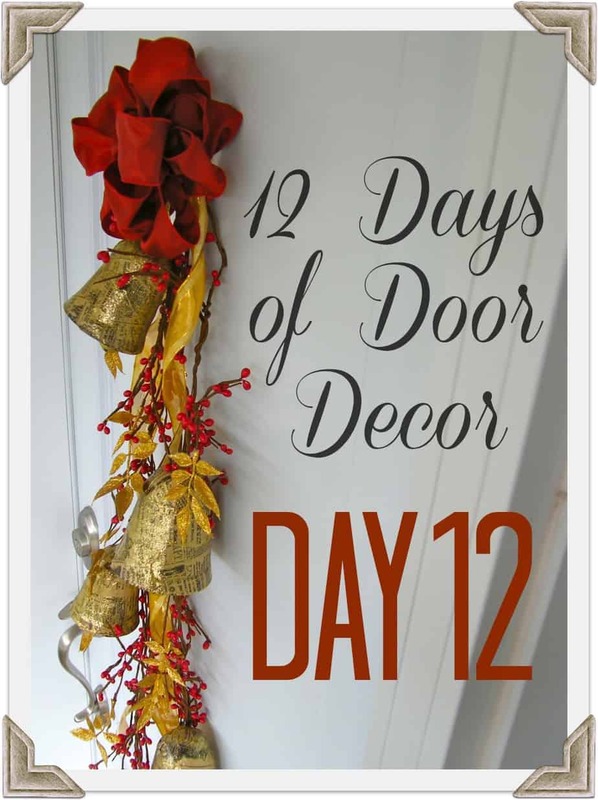 Today is the Grand Finale of the 12 Days of Door Decor. 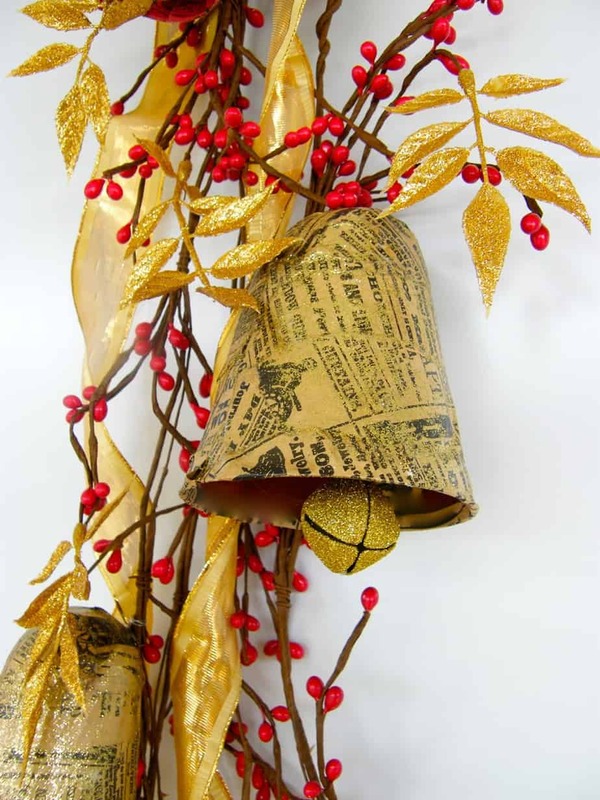 Thanks for following along from the Golden Pinecone Wreath to today for the Bells and Berries Swag. I hope I haven’t bored you with all the bells. But once I discovered how to make them (check out the tutorial on Day #9) I couldn’t stop!! There are so many uses for them check out my other ideas on Day#2 and Day#9. 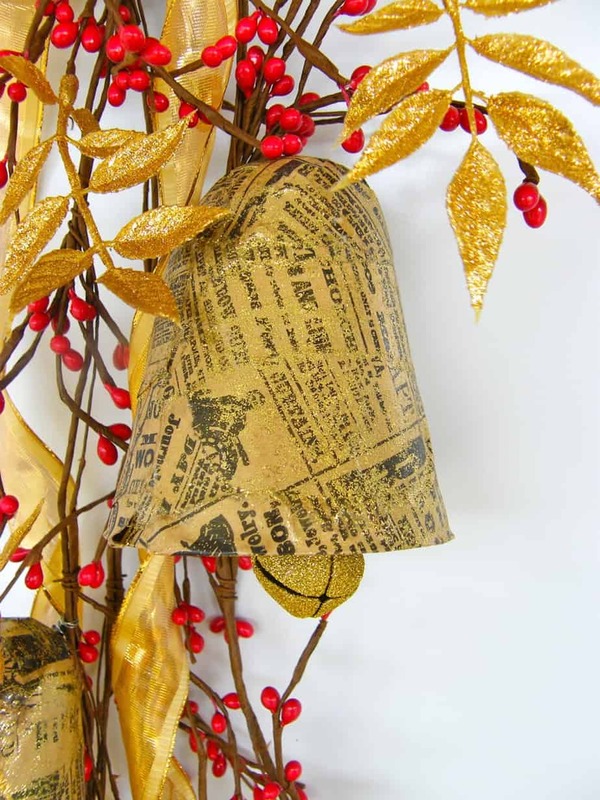 Have a look at todays idea for the Bells and Berries Swag. THANK YOU to everyone who viewed my wreaths over the past 12 days. I still have loads of Holiday ideas in store for you, so don’t hesitate to click that Become a Fynes Follower button! Big thanks to May Arts for all the beautiful ribbons that really made these wreath creations complete! Miss any of the 12 Days? Click below to see them all! I know this post has got terribly long, but I didn’t want you to miss anything! Today I also have 2 posts up on the May Arts blog. First is a LACE SNOWFLAKE TUTORIAL. You can use these beautiful embellishments to decorate all your holiday projects from cards to gifts. Second up is my birch CHRISTMAS TREE!! (mine is the very last one). PULS leave a comment on the post for a chance to win 3 spools of ribbon! Imagine all the fanciful things you could do with that! Lovely! I can’t wait to see the birch Christmas tree as I am a sucker for birch decor.